Sepratech Corporation supplies a variety of filter media for all your filter media requirements for both industrial and municipal filters. 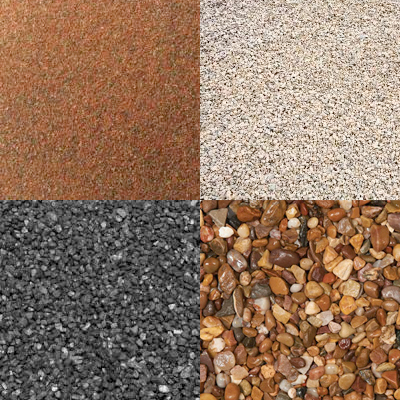 Products include Filter Sand, Quartz Gravel, Anthracite, Garnet, and Zeolite filter media. Whether replacing existing filter media or needing help with the design of new filter media system, contact a Sepratech filter specialist for assistance. Filter sand is widely used in water filtration due to its ability to screen out suspended particulate matter. The important filtering characteristics of filter sand are angularity, hardness and size. Sepratech Corporation can supply a wide range of filter sand in a variety of packaging. The high hardness and density of garnet makes it an ideal filter material, particularly for use in multi-media filters. It is particularly useful as a support bed for other materials such as filter sand, anthracite, or as the first layer in an filter configurations of uniform decreasing grain size in the direction of fluid flow with the small grains at the bottom to do the final polishing. Multi-Media filtration beds are applicable to both water and wastewater treatment. Custom designed filters with varying filter bed configurations can be designed to meet specific needs. For the majority of municipal and industrial water supply applications, a filter bed composed of 55% low density material, 30% medium density material, and 15% high density material is recommended. Garnet is the ideal high density material. Sepratech Corporation can supply your garnet needs in 50 pound bags or in bulk sacks. Where turbidity is a problem Anthracite is very useful filter media. It is very effective in removing turbidity. From water. Sepratech Corporation can supply anthracite in bags, super sacks, or in bulk form. Filter gravel is used as a support media to filter sand and coal in water filters or as the top layer in a mixed bed filter having the largest particle size as the top layer. Activated carbon the unique quality of being able to remove (adsorption) substances from water either chemical or physical attraction: Activated carbon is manufactured to meet specific needs. Activated carbon has exceptionally high surface areas and micro-porousity and its adsorption properties can be further enhanced by chemical treatment. Activated carbon must be tailored to specific needs. Sepratech Corporation can supply activated carbon for your specific needs. It is available in bags or in bulk.